George went on to form The Tipton Hill Boys with long time friends Chris Sharp and Kevin Sluder. The Tipton Hill Boys debut CD for Red Clay Records, Lucky, features George on banjo, Chris on guitar, Kevin on bass, and the talents of many bluegrass greats including Bobby Hicks on fiddle and Josh Graves on dobro. In recent years George has recorded with Bluegrass legend Curly Seckler on Down in Caroline and Bluegrass, Don’t You Know. He also went on to record a second project with The Tipton Hills Boys, Songs We Like. 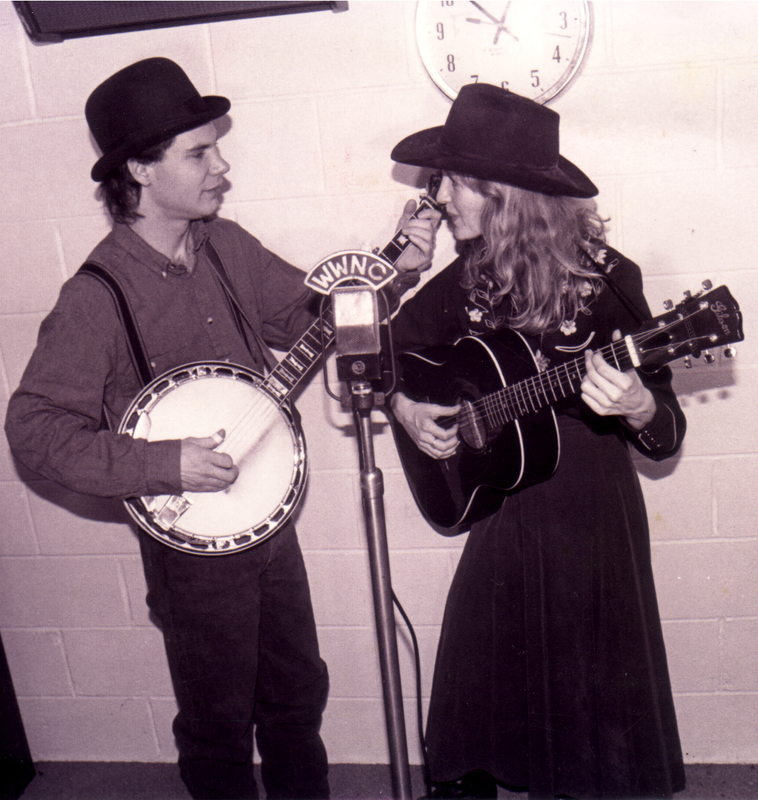 As a guest banjoist with The John Hartford Stringband, George recorded Lorena with vocals by Tim O’Brien for Grammy nominated Memories of John. George has toured twice in Japan with The Tipton Hill Boys and has taught banjo at the International Folk Alliance and Mars Hill College’s “Bluegrass in the Blue Ridge Mountains.” Closer to home, George performs with regional favorite Paul’s Creek Band and works as a duo with wife Brooke Buckner. Brooke Windsor Buckner too was surrounded by music during her childhood. “While growing up in rural Madison and Buncombe counties, I sang at church—in the choir, solo, or in a trio. Here I learned mountain harmony and gospel. We lived out in the country, and our social circles consisted of family and church. Music was a big part of these gatherings.” Brooke also was part of a clogging team at her elementary school. As a teenager, she moved into Asheville with her family, and for a few years she stopped singing and clogging. At the age of twenty, though, she joined the Green Grass Cloggers, and her interest in traditional mountain music had a renaissance. She formed musical friendships with and learned from Roger Howell, Dellie Norton, Doug and Jack Wallin, David Holt, and her future husband, George Buckner. She also was inspired by southern writer Lee Smith, storytellers Connie Regan-Blake and Barbara Freeman, actress Barbara Bates Smith, dancer Carol Rifkin, and singer songwriter John Lilly.